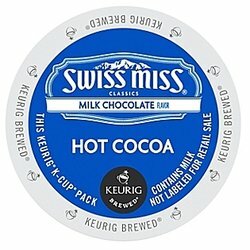 Swiss Miss Hot Chocolate K-Cups. A classic that everyone enjoys. Premium imported cocoa makes this a simple and delicious way to stop and take a moment. Each box contains 24 single serve K-Cups.